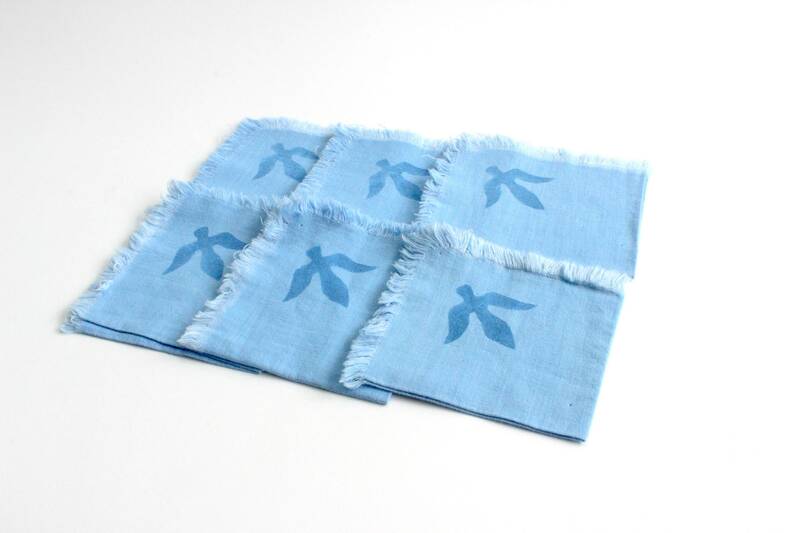 Set of 6 - Vintage handmade cotton napkins. 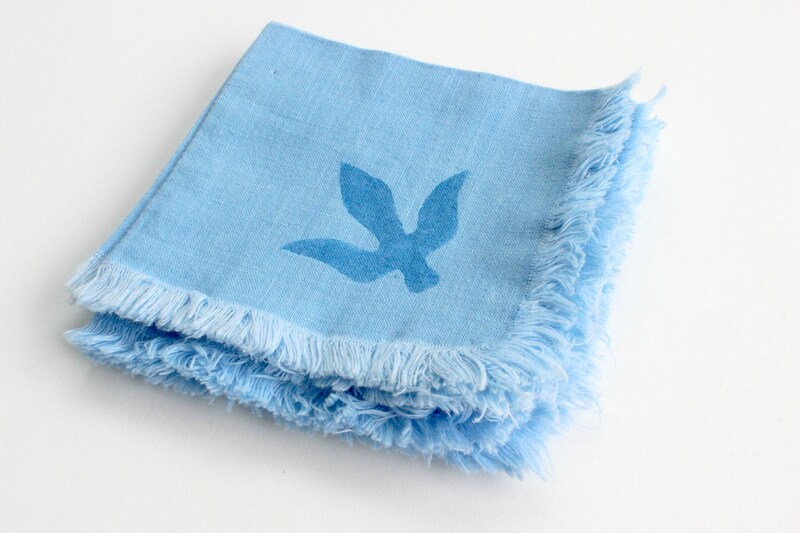 Adorable napkins with fringe on all four sides. 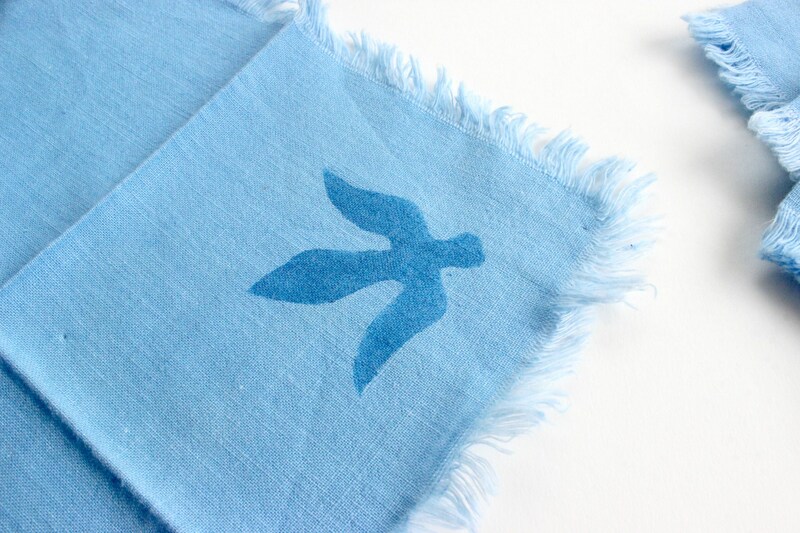 Made from a light weight blue cotton fabric and hand stamped with a simple bird design in each corner. 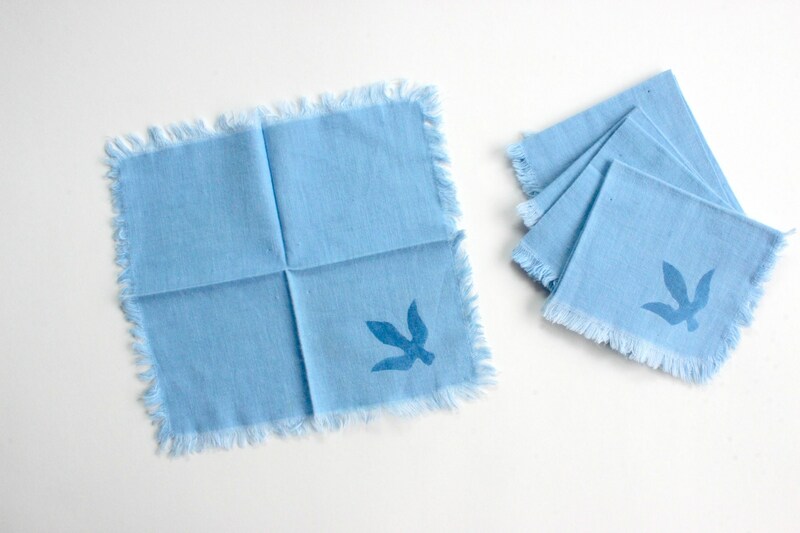 These are lovely napkins! 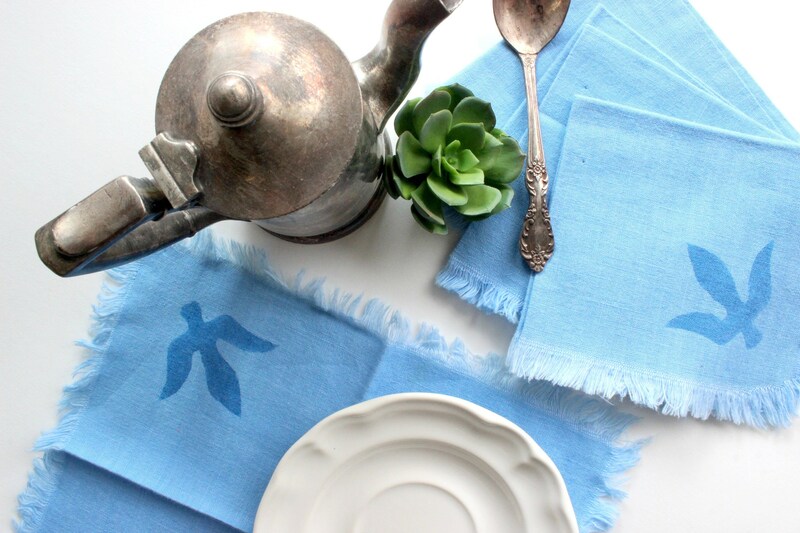 Perfect for brunch or tea! Good Vintage/used condition. You can see tiny holes near the center where a price tag was once put in. Measures 10 inches long and 9 inches wide when unfolded.